For my daughter’s 14th birthday, I gave her an opportunity to go on a trip with me to any location on the planet. I had enough airline and credit card points to give her this unique opportunity. Growing up in a small town in Utah, opportunities are rare to experience much in the form of culture and diversity, let alone being a minority. My hope was to give her a sense of her place in the world. And I wanted to spend some dedicated time with her at this important time in her life. The destination she was to choose had to provide a rich cultural experience. It also had to include historical (as in really old) significance, artistic exposure, once-in-a-lifetime musical performances, meaningful service opportunities, or amazing adventure (something you cannot experience any other place). I gave her a workbook with these requirements. She had to research 3 locations on each continent. 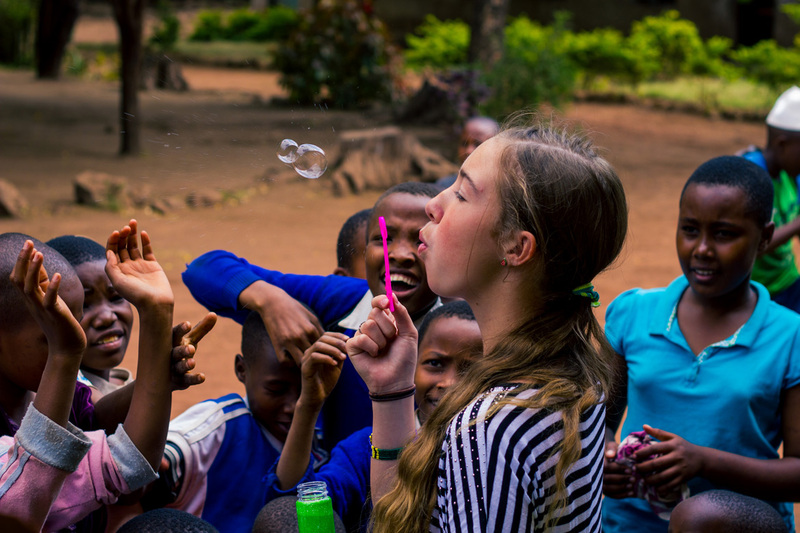 After researching and discussing the options together, she ultimately chose TANZANIA! I couldn’t have been more happy with her choice! 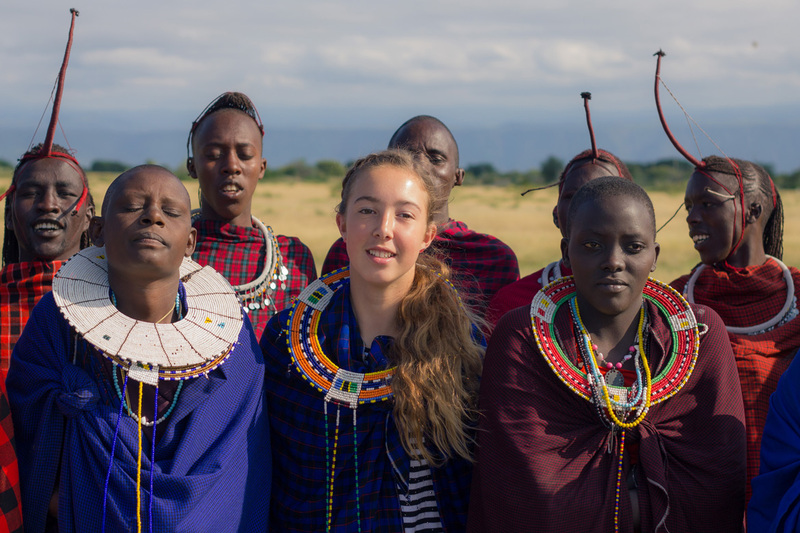 We spent 10 incredible days together in this beautiful East African country in early June 2018. We had more adventures than I could describe in 100 blog posts. It was magical and an adventure beyond description! The people were amazing, the wildlife sightings beyond my greatest expectations, and the memories made eternal. We put together a large bag of school supplies, many donated by friends and family, and donated them at two impoverished primary schools. The children and teachers were so grateful for our support. 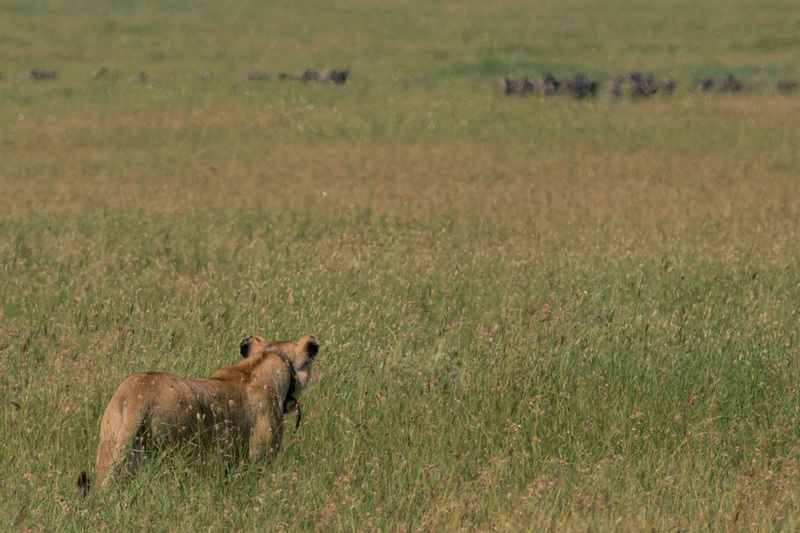 Watching a lion stalk, tackle, and kill a wildebeest from just 30 yards away. It was truly one of the most exhilarating experiences of my life! Getting stuck between two large herds of elephants in Tarangire National Park. It was just the two of us in a small SUV. This video is of poor quality, but captures the excitement in our voices after 3 large elephants charged at us. Navigating the dusty, absolutely crazy streets of Arusha, especially when I was driving. Abbie’s primary job was to ensure I didn’t forget to drive on the left hand side of the road. 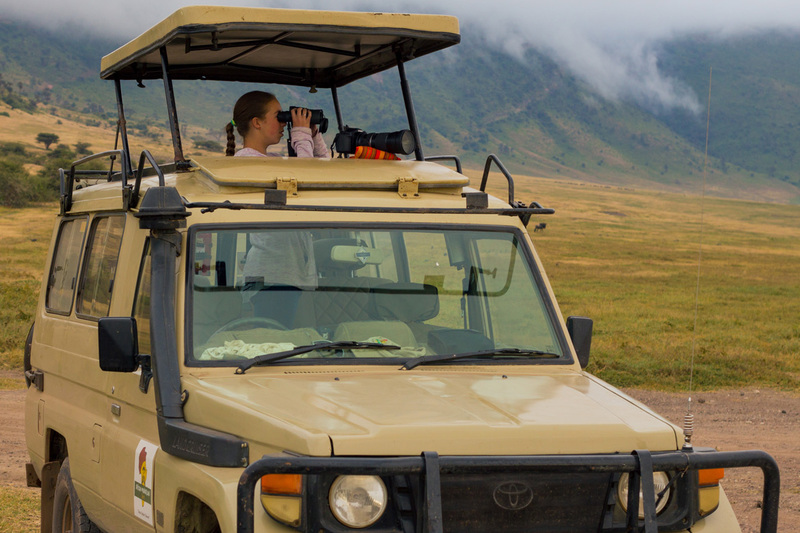 Being among the first vehicles in Ngorongoro Crater and driving into the middle of a pack of a dozen lounging lions. They were so close we could have reached out the window and touched them! 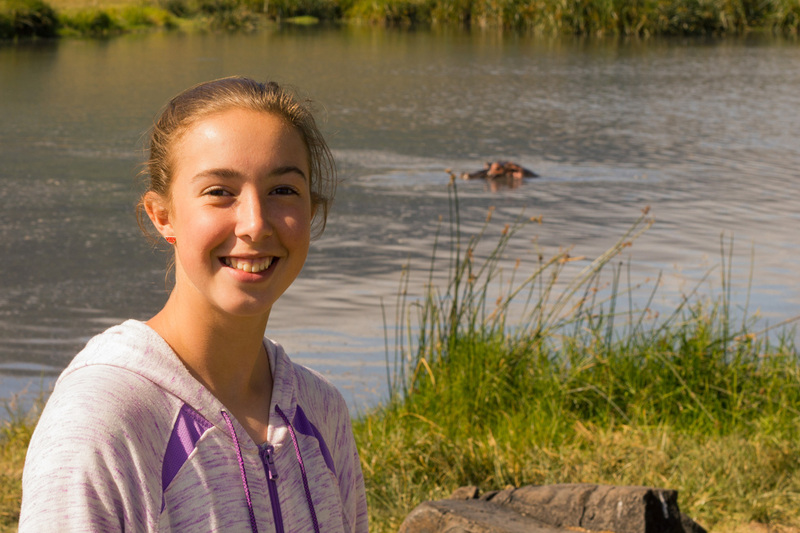 Standing on the shores of a hippo pool in Ngorongoro Crater and having a hippo suddenly burst out of the water just 30 feet from us grunting, growling, and splashing about. We ran for our lives! Seeing the Big 5 of Africa – Lion, Buffalo, Leopard, Rhino, and Elephant. 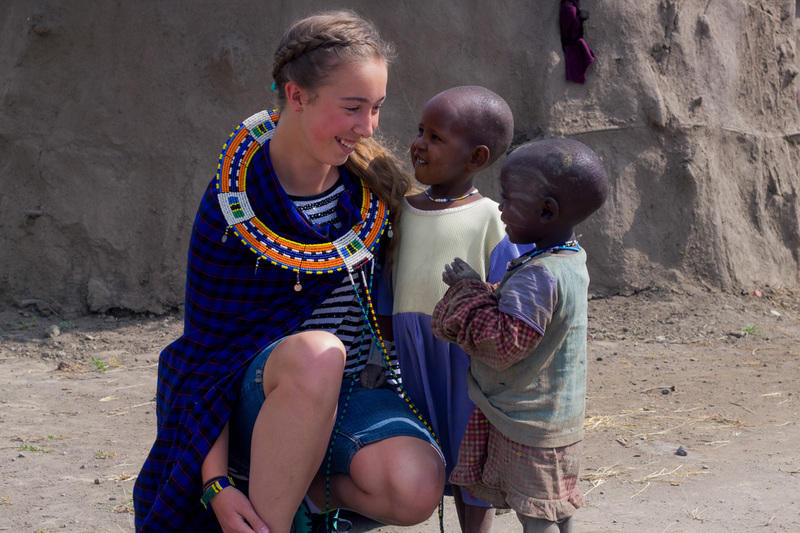 Visiting a Maasai Village. While you pay for the show and tour, the money supports the small village. We were the only visitors and enjoyed a peek into the lives and culture of these nomadic people. 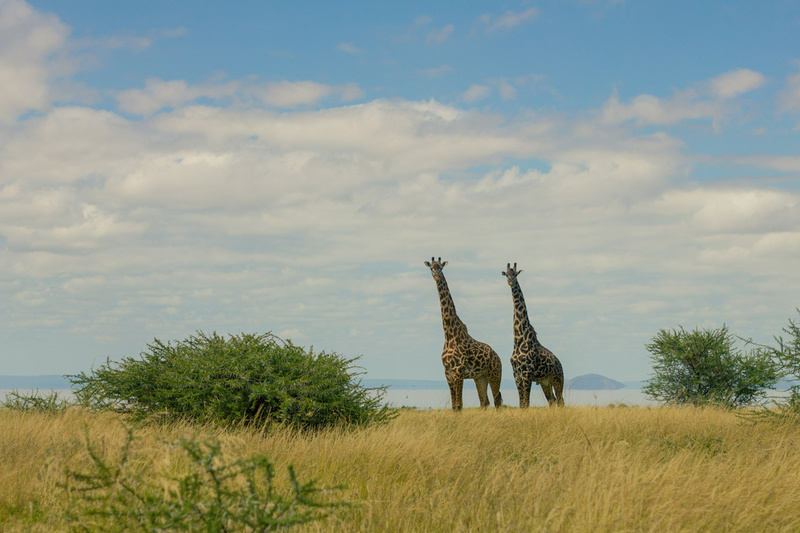 Finding ourselves among a herd of at least 40 giraffes in Tarangire. Getting to know our guide Haji from African Wonderland Safaris and Mwema African Safaris. He was incredibly knowledgable and had a keen ability to put us onto amazing wildlife sightings. We spent 5 days on private safari with Haji and then 4 days on a self-drive safari in a rental SUV from Roadtrip Tanzania / Roadtrip Africa. 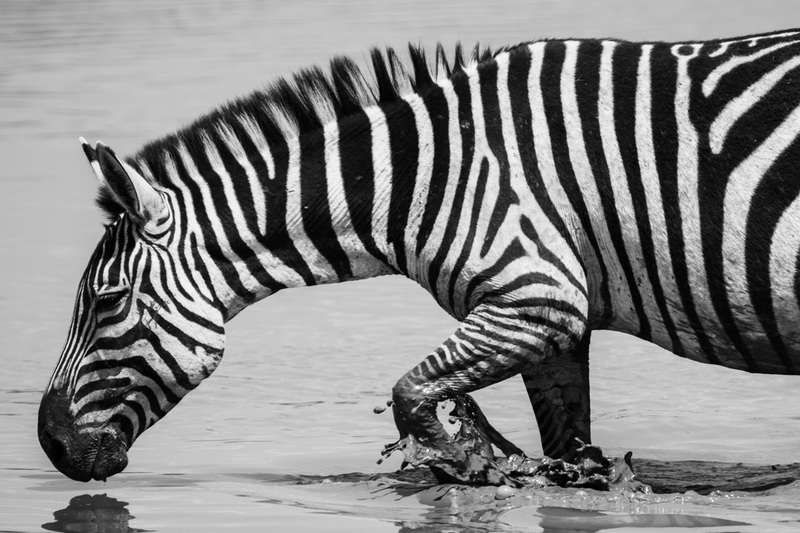 Navigating a herd of several thousand zebras and wildebeest – just a small branch of The Great Migration – in the Serengeti. No photo I took could capture the immensity of the herd extending to the horizon and beyond, though this photo of a solitary zebra going to water is a favorite. 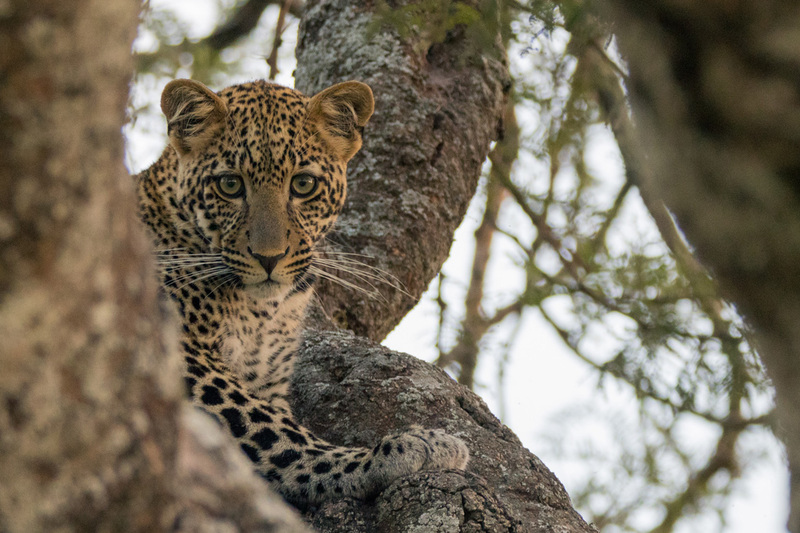 The list of animal species spotted (not counting birds – there are way too many to list): rhino, cheetah, leopard, giraffe, gazelle (several varieties), impala, buffalo, lion, bat eared fox, zebra, wildebeest, hartebeest, crocodile, hippo, monitor lizard, elephants, hyrax, hyena, warthog, mongoose, baboons, vervet monkey, waterbuck, dik dik, ostrich, topi, rabbit, eland, python, bat, and camel. Day 1: Arrival late evening at JRO (Kilimanjaro Airport) via LAX and AMS. Transfer to Green Mountain Hotel in Arusha. Day 2: Game drive in Tarangire National Park. Overnight at Twiga Lodge in Mto Wa Mbu. Day 3: Delivery school supplies at Primary School in Mto Wa Mbu. Long, bumby drive to Serengeti. Overnight at Serengeti Angani Camp. 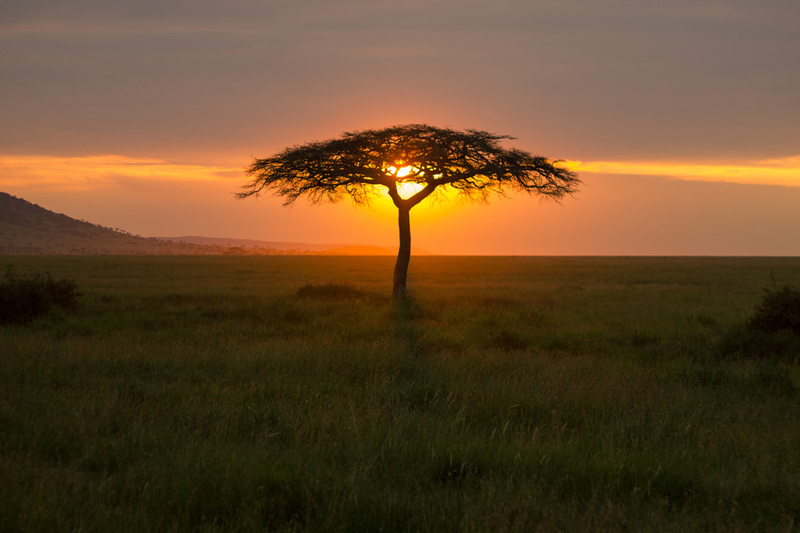 Day 4: All-day game drives in Serengeti. Overnight again at Serengeti Angani Camp. Day 5: Game drive in Western Serengety. Drive to Ngorongoro Crater. Overnight at Rhino Lodge. Day 6: Early morning game drive in Ngorongoro Crater. Return to Arusha. Overnight at Green Mountain Hotel. Day 7: Rental car delivery. Eventually find our way to church. The church members were incredibly warm and welcoming. It was an uplifting experience to worship with them. Sacrament meeting was held in a tent! Drive to Mto Wa Mbu. Overnight at Africa Safari Glamping Manyara. Day 8: Self-drive safari of Lake Manyara National Park. Overnight at Whistling Thorn Tented Camp (highly recommended!). 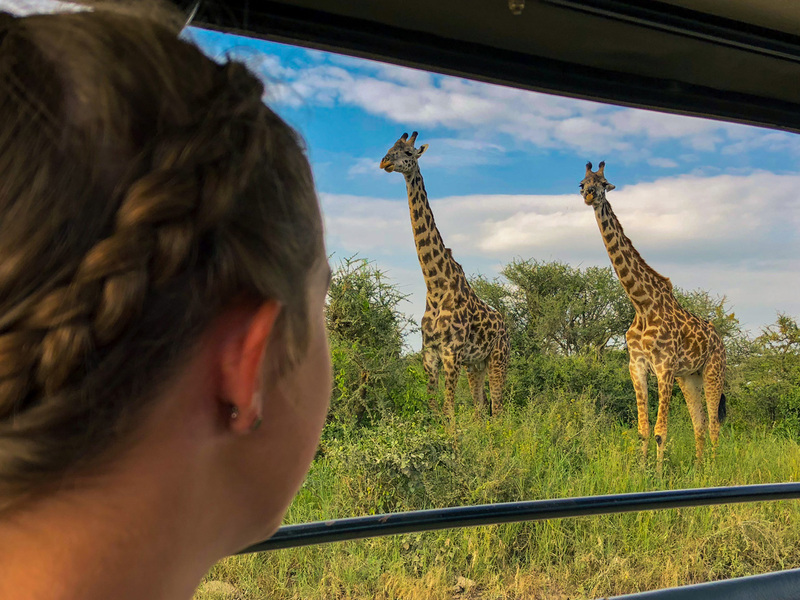 Day 9: Self-drive safari of Tarangire National Park. Overnight again at Whistling Thorn Tented Camp. 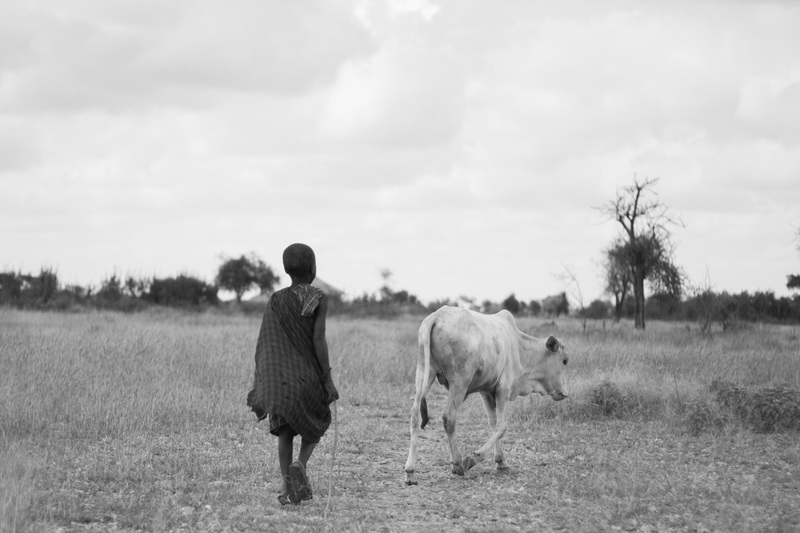 Day 10: Deliver supplies to school near Eluwai Primary School near Tarangire. 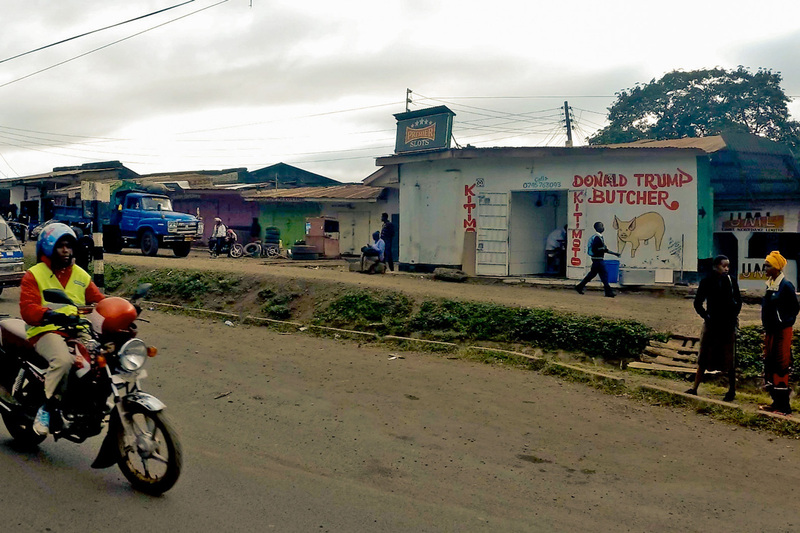 Return to and exploration of Arusha. Return rental car and transfer to JRO for late evening departure. I’m blessed to have spent such a wonderful time with my amazing daughter. 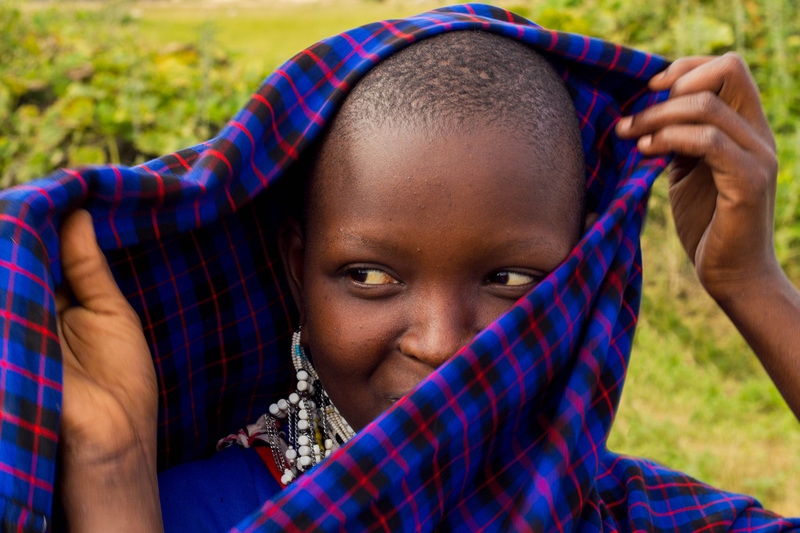 We both fell in love with Tanzania and its beautiful people.